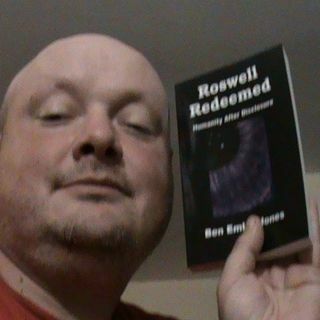 This Thursday evening on the HPANWO Show: a special programme to launch my new book Roswell Redeemed- Humanity After Disclosure, see here for details: http://hpanwo-bb.blogspot.com/2018/12/roswell-redeemed-is-here.html. Also: All the latest news, details of upcoming events and space weather. Tune in at 8 pm, UK time, on Thursday the 17th of January. Please go to this page to listen: https://www.spreaker.com/user/benemlynjones. To talk to the host and other listeners, join the HPANWO Radio ... See More chatbox here: https://chatwing.com/chatbox/f28d1bf0-18fc-11e9-93a8-c54a5493551e. Please use the HPANWO Show chatbox. Most listeners don't use this one. See the show notes in the Info box below the player for a link.